Welcome back! 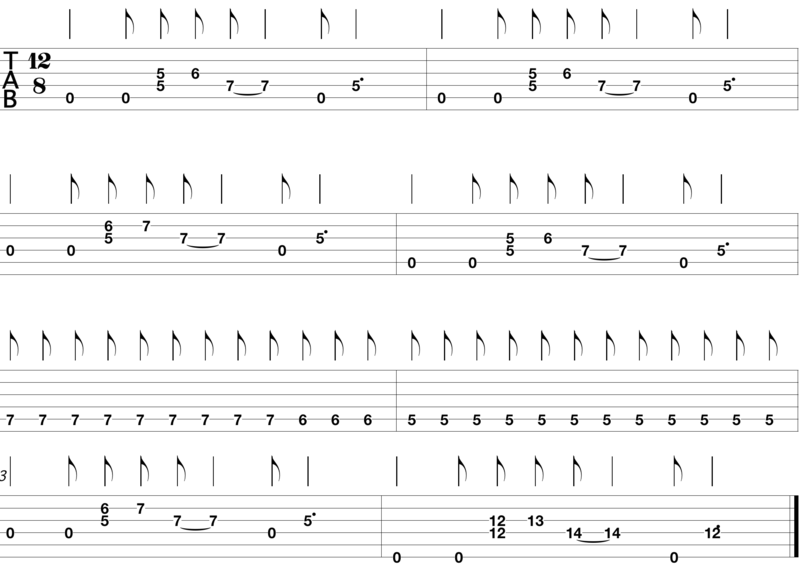 Today I wanna share with you some really cool guitar tabs blues. The tab I wanna show you is a different way of playing blues. We are gonna use a the normal 12-bar blues progression but we are gonna spice it up a little bit; instead of using chords I’m gonna go with something that’s gonna sound way better. And if you are acoustic guitar player, you are gonna love this. We replace the chords with an awesome sounding riff. Now, this riff is gonna be composed in 12/8, as opposed to 4/4. It is just easier to write it that way. Fairly simple, it is the same riff just transposed. We are also gonna add some single notes, just to incorporate something a bit different. You can either play them as an open sound or with palm mute. If you play it using a palm mute technique then you are gonna get some dynamics because the rest of the riff is gonna have an open sound. I know it looks like a lot, but if you split and learn in the order I just showed you, then it will be way easier. I can also recommend you to mute every open string. For example in the first riff you have an open 5th string and it will sound really good if you mute it; it is just a great contrast between the muted sound and the openness of the rest of the riff.